Are you fed up with the varying information you get on different websites on the same technical topic? Then now you are not so far from your destination, be a part of electronicslovers.com and see the change within your mixed bag of tech stuff. 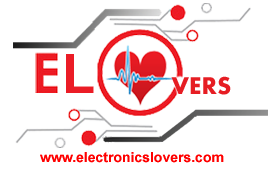 ElectronicsLovers provides you a platform where you can get reliable information on any technical topic. Today when information technology is very much important, there should be a source where you can access freely and get whatever you are looking for. Electronics lovers started in July 2011 with the mission to produce ideas to student and engineer or hobbyist to learn electronics practically. It provides you knowledge on embedded systems, Arduino and provides you with many pre-built Arduino libraries for free. There are free tutorials on physics, networks, radars and much more. if you want an official book then also you can access electronicslovers.com as it also provides many books on technical topics. Whether it is Arduino projects or MPPT projects, you can get all these stuff at a single place. Electronics lovers provide information by publishing tutorials, electronic circuit, Technology news, Final year project ideas and DIY stuff. Electronics lovers is a true place for the student and engineer or hobbyist to surpass within the field of electronics design.If you are a hobbyist, student or engineer then by going through electronicslovers.com you can achieve your goal and learn many DIY techniques and so on. Dealing with Arduino projects, embedded systems create a lot of doubts in our mind and here at electronics lover, your all queries will be answered by experts and also you will be able to create your own innovative projects. Programming is also an important aspect for a tech guy. Here, Electronics lovers will provide you a place to achieve your goal through programming and hardware too.